Layout is everything: Whether you’re considering a simple straight counter at the end of a patio or a complex series of angles and curves to accommodate seating and food preparation needs, layout is important. You will need to think about all other elements of your landscape, such as steps between patio levels, outdoor fireplaces and seat walls. 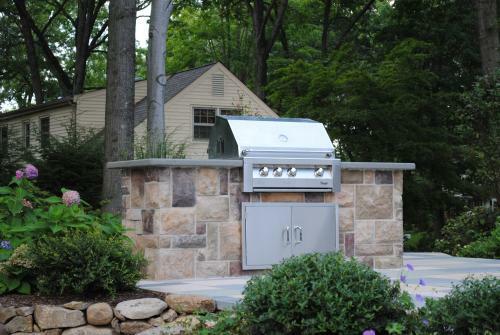 The design and installation of an outdoor kitchen requires many moving parts, so consider layout carefully when you meet with your landscape designer to discuss appliances, fixtures, and finishing materials. 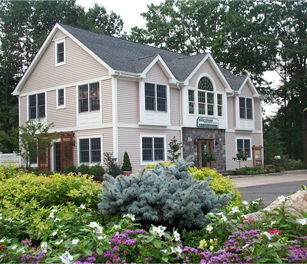 Secure your permit first: Each community is different, but many towns in Bergen County and surrounding areas require a permit before an outdoor kitchen or other permanent landscape structure is built. If you live in one of these towns, get your permit first to avoid running into trouble later on. In Ridgewood, NJ, for example, the town mandates that any permanent grill be located at minimum of ten feet away from your home. Know these rules and follow them. Utilities matter: Many people do not realize that both a licensed plumber and electrician are needed to provide the necessary utilities and connections for natural gas, hot and cold water, and electricity. Make sure you balance your utility preferences when you’re picking out appliances and lighting fixtures for your outdoor kitchen. Finishing materials make all the difference: This is the fun part – choosing the finishing materials for your outdoor kitchen. The best choice is a material that complements the overall look and feel of your landscaping and your home’s architecture, as well as the function of the outdoor space. Outer walls of outdoor kitchens are usually either a veneer stone, stucco or possibly a segmented wall block. 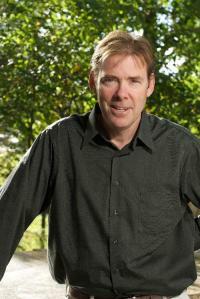 The Countertops can be Granite, Bluestone slabs, or, in more moderate climates, tile. 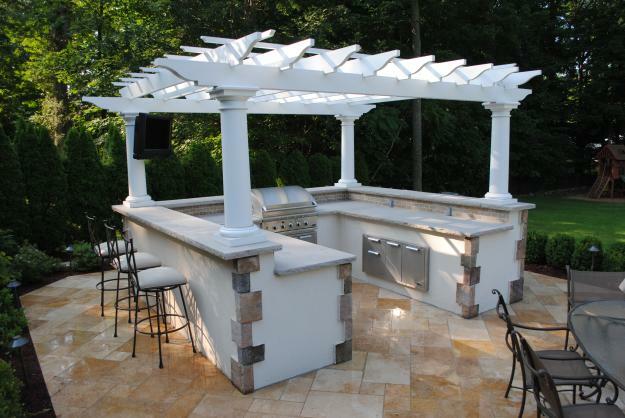 When you are ready to start the process of designing an outdoor kitchen, it is important to consider the layout, regulations, utilities, and finishing materials. Reflecting carefully on these items will help determine your budget and allow you to truly enjoy preparing food for your family and friends in your own backyard. I want to do tropical landscaping in combination with our outdoor kitchen in Las Vegas. That would look so amazing! Makes me want to build my own outdoor kitchen!